Welcome to the Short Cranks blog. I started blogging as a way of recording how wonderful it is to ride a bike. You can read my posts on my journal. 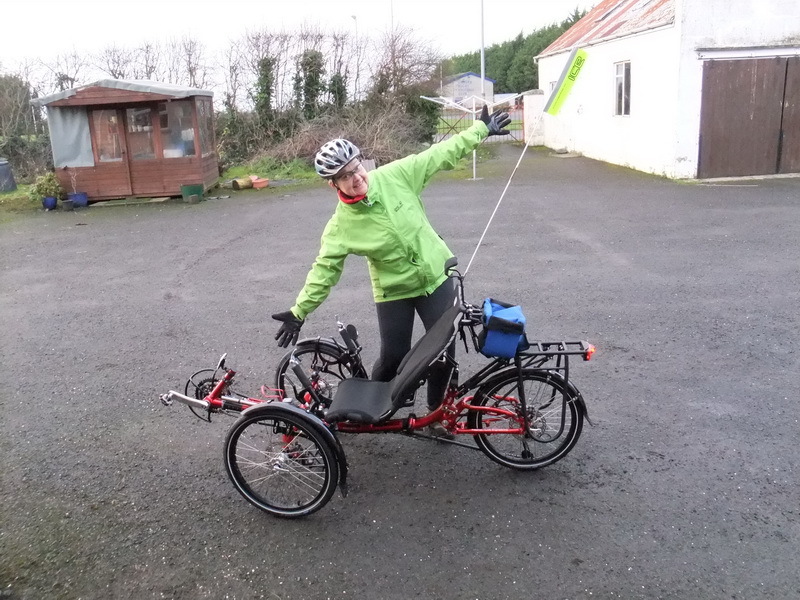 This is my current set of wheels – nicknamed Spike the Trike. 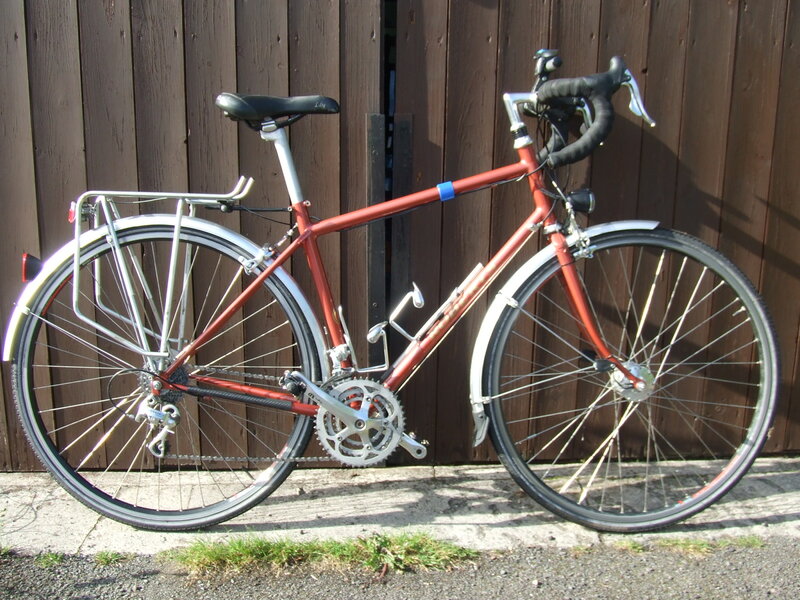 Spike is a new purchase in January 2012, because I cant ride my bikes anymore, don’t ask for details! I am really enjoying being out pedaling again, I just need to cycle. Just out of interest, and because I can’t bear to part with them yet, here are my two lovely bikes. My bikes have been built with short cranks, which I find more comfortable to pedal than the standard issue 170mm. For the uninitiated, cranks are the ‘arms’ that the pedals are attached to, and by the way, Spike the Trike also has short cranks. 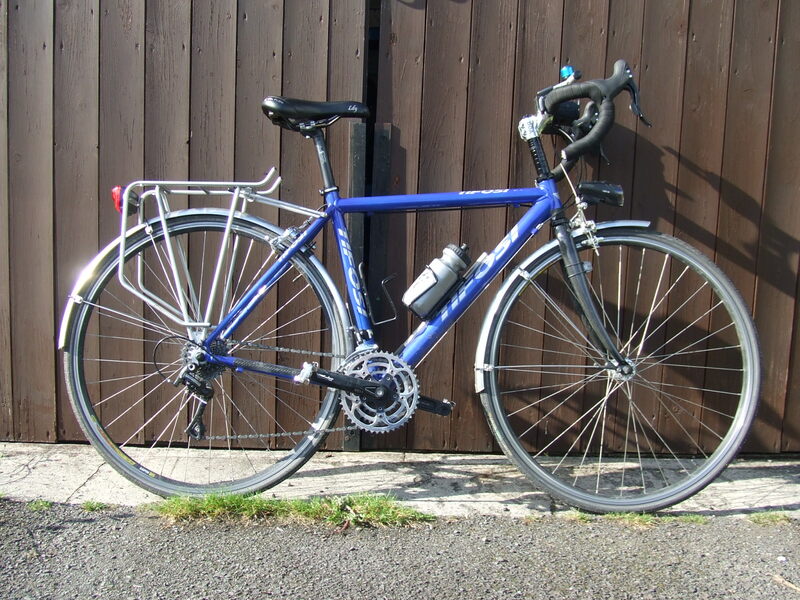 I cycled to work in all seasons for several years, and my holidays were often long tours. Due to cancer and its treatment in 2008, although back at work after four months, for a long time I didn’t feel ready to return to full time cycle commuting. But I really missed my daily visit to the river, and in spring 2010 I began cycling regularly again, and felt so much better both physically and mentally. It just made me so happy! My commute was almost entirely on a riverside path, 16 miles of daily pleasure, fresh air and contemplation. I often met the same people, and we exchanged greetings or a quick chat. I also had a shorter 10 mile winter route, as I could drive to a different starting point. Then 2011 began with a shock, the cancer had returned. Chemotherapy and collateral damage from earlier treatments have been challenging. My earlier posts evoke the thrill and poetry of a cycling life, I’m afraid the 2011 posts have been more prosaic. Here’s to 2012 and Spike the Trike! Where's my backpack? A travel blog with great photographs and poetic prose.